The Policy 1 tab is where you enter the patient’s primary insurance information. Many of the fields included on this screen are similar to those included on the Policy 2 and 3 screens, with the difference being that they would apply to the secondary or tertiary insurance carriers if they were entered on those other screens. Insurance 1: This field will be where you specify the Insurance Code for the primary carrier you wish to add to this case. Policy Holder 1: Many people confuse the Policy Holder field with the Guarantor field. The Policy Holder field should contain the chart number of the patient or guarantor that holds the insurance policy. Depending on circumstances, this may be a different person than the Guarantor that was specified on the Personal tab. Relationship to Insured: The Relationship to Insured field corresponds directly to the Policy Holder 1 field. You will need to specify how the patient is related to the person listed as the Policy Holder 1. The Policy Holder field for Medicare patients should always be the same as the patient Chart Number. Additionally, the Relationship to Insured field should always be set to self. Medicare does not offer family plans. Failure to accurately enter these fields for Medicare claims will result in claim rejections. Policy/Group Number: You will find the patient’s policy and/or group number listed on their insurance card. Policy Dates: These dates designate the policy effective dates. If these are applicable, they will also be listed on the patient’s insurance card. Claim Number: Claim Number refers not to a standard Healthcare claim, rather a claim number that refers to a different type of insurance claim, such as an auto insurance claim, that is responsible for paying for the medical services being rendered. This field holds the claim number for that insurance claim. Assignment of Benefits/Accept Assignment: This field determines who is going to receive payment for charges entered into this case. If you place a check mark in this field, that means the provider accepts assignment of the patient benefits, and the insurance carrier will send the payment directly to the provider. If you do not place a check mark in this field, the check will be sent to the Patient. The doctor’s office will be responsible for billing to and collecting from the patient in this situation. See Accept Assignment Handout. Capitated Plan: Capitated plans pay a doctor or group of doctors a pre-negotiated amount of money per month to see a group of patients under a particular insurance carrier. These payments are not based on how many procedures are performed. The same payment will be made if no patients under that plan make a visit during the month. If this patient is part of a capitated plan, place a check mark in this box. See Capitated Plan Handout. Deductible Met: This field is used to indicate whether the patient has met his or her annual deductible. When the deductible is met, click this box. The amount of the deductible paid is displayed in the Transaction Entry window. When the full amount has been paid, the program reflects the amount entered in the Annual Deductible field in this window in the YTD field in Transaction Entry. In other words, if the patient has a $250 deductible and the Deductible Met check box is checked, then the YTD field also reflects $250. This field is reset annually. Annual Deductible: The Annual Deductible field is a reference field that will be displayed within Transaction Entry. If you know the amount of your patient’s annual deductible, enter it here. Copayment Amount: Copayment Amount allows you to enter in the amount of the copay that this patient has for each visit. This field will display within transaction entry as the Policy Copay. This field is a reference field only. It will not automatically enter a copay for you. You will not be able to bill a patient for a missed copay until after the insurance carrier has paid. You will not be able to enter the copay reference as a percentage. It is strictly a dollar amount copay. Insurance Coverage By Service Classification: The main function of Service Classifications is to provide a more accurate division of the patient and insurance portions when transactions are totaled. It is based on the premise that all similar procedures are reimbursed at the same percentage rate by the majority of carriers. Because a carrier doesn’t normally pay the same percentage for every type of procedure, it is essential that procedures be divided into service classifications in order to assign the proper percentage to each class. These are set up at the time the procedure codes are created and, although they can be changed, they cannot be deleted. A common example of the variation is the difference in percentages paid for office visits and those paid for lab work. Normally, office visits are paid at 80%, while lab work is covered at 100%. To handle this difference, when the procedure codes are created, office visits are put in service Class A (paid at 80%) and lab work is put in Class B (paid at 100%). In the Case (Policy 1, 2, and 3) windows, in the Service Classification fields, A shows 80% and B shows 100%. These classifications are used in calculating allowed amounts (Apply Payment/Adjustments to Charges window). In the Insurance Coverage Percents by Service Classification fields, indicate the percentage amount of coverage indicated in the applicable insurance policy. There are eight fields to enter Service Classifications. You assign the fields. Field A is generally used for common procedures, and Field B could be for surgery or lab charges. Field C could be those services that are not covered by most insurance policies, etc. The Service Classification fields in this window are completely separate from the 26 Charge Amount fields (A – Z) provided for in the Procedure/Payment/Adjustment edit window, Account tab. The values for the Service Classification fields can be anything between 0% and 100%. Place a zero default for procedures not covered by the insurance carrier. Any of these figures can be changed by typing over the number, and the dollar amount charged can be overwritten in Transaction Entry. Crossover Claim: The Crossover Claim field is the only field that is different in functionality from the Policy 1 tab. This field designates transactions entered under this case as crossover transactions. This means that the Primary insurance carrier will be forwarding the claim to the Secondary carrier. If this is the case, you will not want to print or send a secondary claim manually, as it would be a duplicate claim. If this box is checked, secondary information will be included on Medicare claims (for Medigap crossovers). Additionally, you will not be able to print or send the secondary claim for these transactions. There are no fields on this tab with different functionality than the fields listed for Policy 1 or Policy 2. The revised instructions state that CMS doesn’t prohibit the use of templates to facilitate record keeping, nor does it approve of or endorse any particular templates. Electronic records may involve any type of interface, not just sophisticated ones, with clinical decision and documentation support prompts. Templates can even be paper-based. However, the agency discourages the use of templates that provide limited options for the collection of information, such as check boxes or predefined answers, or limited space to enter information. In an article from the MGMA, they state that the average out of pocket cost for a “commercial health plan” patient, each time they visit the doctors office, is approx $110 per visit. This is a far cry from the simple days when patients only paid a $5 or $10 copay and that was all. What does this mean to your medical practice cash flow? 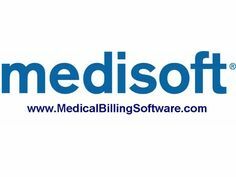 Several things, first it means that you need to understand the whole revenue cycle management concept and be aggressive in your patient collections since they are paying a bigger portion of your bill. I use this analogy all the time when consulting with doctors offices; You wouldn’t expect to go shopping to your local Grocery store, get to the checkout counter, have them bag your groceries, take the bags and yell out to the cashier as you are leaving “just bill me for these” would you? No, you go shopping, you pay for your products or services right then and there; medical offices need to have the same philosophy about payment for services. 4- Calling patients to remind them to pay their bill. 5- For some specialties, consider a financing plan where the patient pays the plan and you get your money up front, and the plan takes the responsibility of collections. 6- Create and follow a collection policy. I will go into further details in subsequent blog posts, so stay tuned.